I’ve made a lot of quiche over the years. Some with a rice crust and, more recently, many with a shredded potato crust. 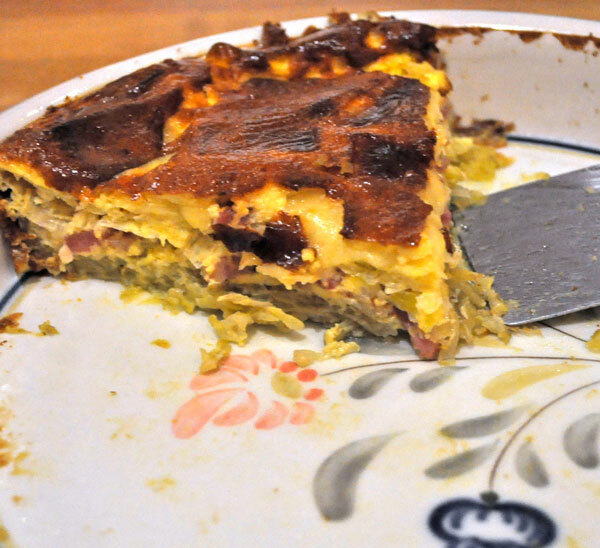 I’ve never made a quiche with a pastry crust and I’ve never made the most traditional of all quiche: Quiche Lorraine. The other day mon mari asked me why. I had no answer… I shrugged (a Gallic shrug, of course). As always, I compromised (politicians take note: compromise is possible). I made Quiche Lorraine with a shredded potato crust. 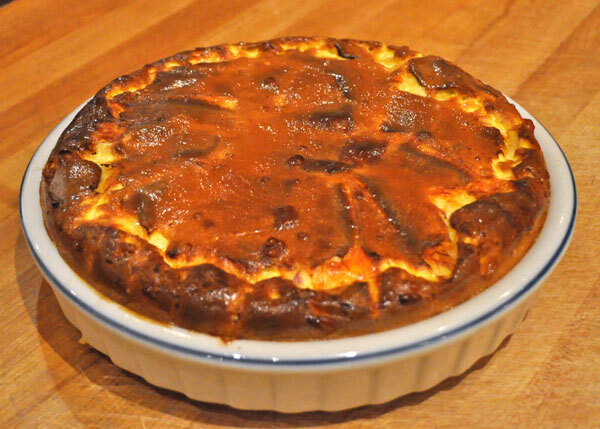 This is much more decadent than my usual quiche – heavy cream instead of milk and yogurt, more cheese, and one more egg. It tasted more decadent, too…. Mix shredded potato, salt and egg. Pat into a lightly oiled quiche or 10″ (25cm) pie plate, working it up the sides a bit for the edges. Bake in 400F (200C) oven for 15 minutes. Sauté bacon in same skillet until cooked through and starting to crisp. Remove from heat. Whisk 4 eggs, cream, milk, mustard and nutmeg together. Remove potato crust from oven. Spread the leeks evenly over crust. Spread the bacon on the leeks. Pour the egg mixture over all. Bake for 30 – 35 minutes, until center has set. Remove and let rest 5 minutes. Slice and serve. Thanksgiving has come and gone, as well as the biggest shopping day of the year. When I lived in the U.S. I refused to leave the house on the Friday after Thanksgiving. Sadly the craziness has crept to this side of the pond. And even sadder is that we tried to take advantage and failed. Mon mari’s monitor is slowly succumbing to the ravages of old age. The icons on his desktop that were circles and squares are now stretched out to ovals and rectangles. He needs a new one. We went shopping last Saturday to buy one. He’s not a complicated guy and really just wants a simple monitor – no touch screen, no bells and whistles. Just a screen that works like his old one and lets him do what he wants to do without fuss. It was, in retrospect, a foolish thought that we would be able to find something that basic in any store at this time of year. We tried to shop locally. I found exactly what we wanted on Amazon in about 5 minutes. Free shipping and we should have it on Monday. I would like to support all of the local merchants – but when they make it difficult and Amazon makes it so easy…. 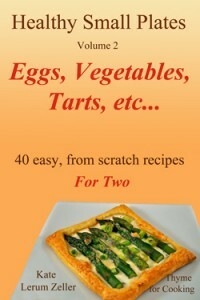 Quiche Lorraine is a favourite here but I do tend to make it with milk and not cream and use 2 eggs plus an extra yolk. I do use a pastry base. Living in the country here, Amazon has taken a lot of frustration out of shopping. We use it frequently when there is an availability, quality, price or time issue but not to the exclusion of the local shops.